Please Click on to Pictures See Our Samples. Give your pool or spa the naturally beautiful look of a pebble-bottomed stream with StoneScapes! An inviting selection of colors and textures gives you the opportunity to express your own unique style. StoneScapes combines artistry with durability, comfort and safety to create a perfect finish for new pools and spas or refinishing existing pools, BBQ Islands or other outdoor amenities. A premium blend of crushed quartz, white cement and color tints, QuartzScapes merges beauty and strength for an incomparable finish that will last. One of the world’s strongest minerals, our quartz crystals are bonded with a ceramic color coating for reliable beauty that will last for years. 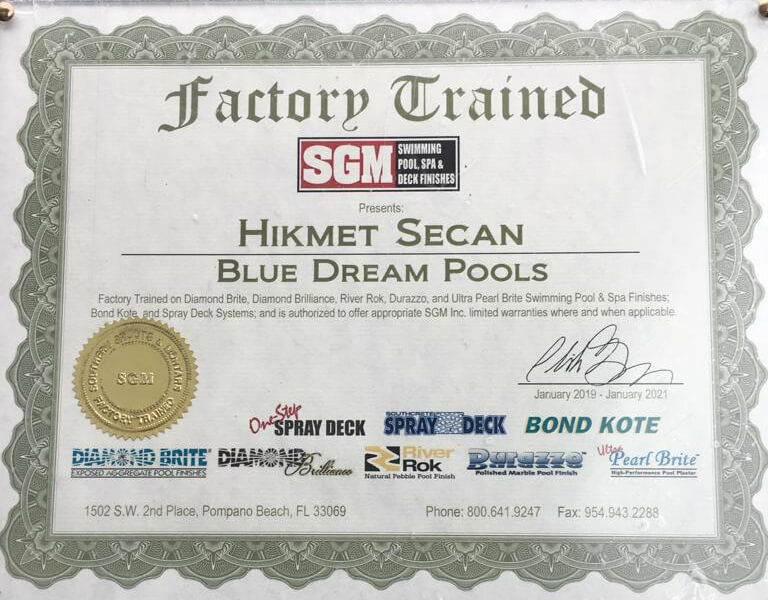 Beadcrete is an innovative formulated pool finish system which incorporates the highest quality aggregates, polymer modified cements and pigment technologies to create a truly exquisite pool finish. The inert glass bead aggregate is beautiful to look at and smooth to the touch. This one of a kind pool finish will simply take your breath away. 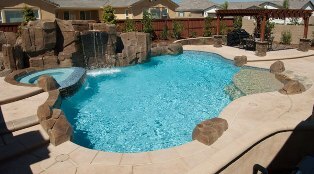 Beadcrete® Pre-Blended pool Finish. Now available! 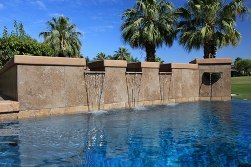 – a Pre-Blended Pool Finish featuring the rare beauty of Beadcrete’s® patented glass bead finish. 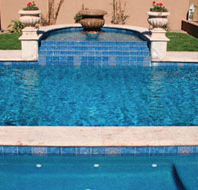 Offered in six exclusive colors, Beadcrete Pre-Blended Pool Finish is the ultimate crowning touch for any pool or spa.